Distinguished author and three-time Emmy® winner Judge Cristina Perez puts the flair in fair in this courtroom series. Her hip and fresh perspective, combined with her warm and personal approach, appeals to all ages — as well as Television Academy voters. 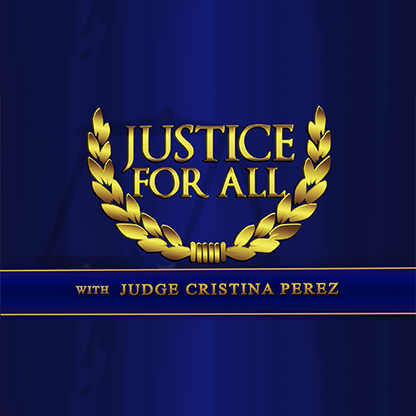 “Justice For All With Judge Cristina Perez” was nominated for a best court program Emmy® Award and backboarded the launch of two accredited novels and a growing fanbase. According to the Syndicated Network Television Association, Judge Cristina Perez ranked as one of the most trustworthy and influential syndicated hosts on TV, coming in second behind Oprah among young adults (ages 18-34 years).